Sage 300 is the leading Construction and Real Estate property management software. Construction companies typically use a payroll service. 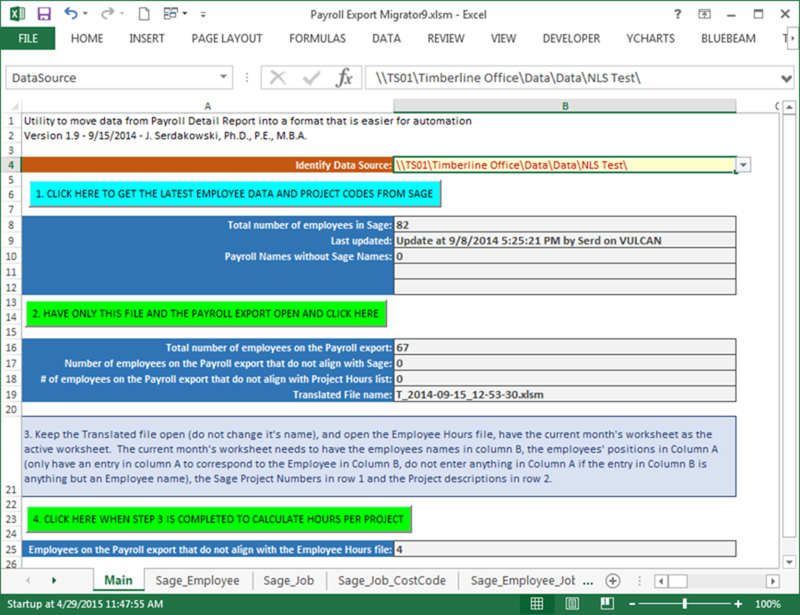 Sage's accounting module needs accurate and complete payroll information. Sage has never developed a tool to automatically import payroll data from a payroll service. AutoSoft Systems has developed this tool. This approach solves the age-old problem of data double entry into different corporate computer software packages. This same approach can be used to solve any double-entry issue. The main screen of the program allows the user to harvest payroll information from Sage and translate the payroll service's report into a format that can be imported. 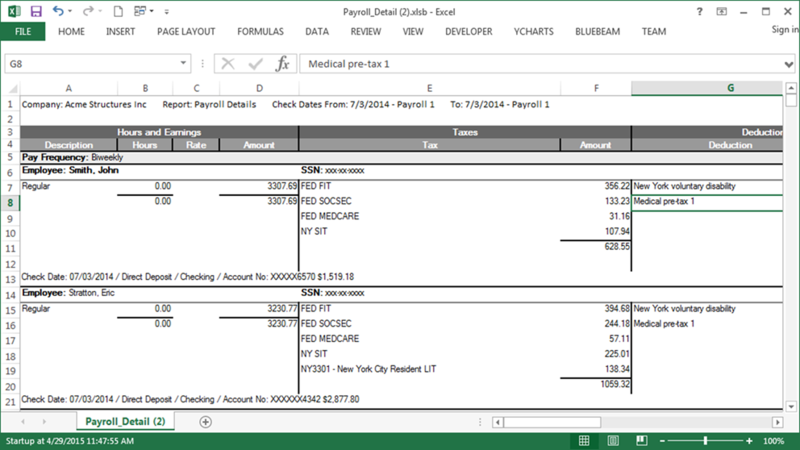 This is an example of a typical payroll report from the payroll service. This is the starting point. The tool translates the payroll file into a file for automated data entry through the Sage user interface, entering up to 10 entries a minute. If the data goes in without issue, the "Process Notes" column turns green. If an issue arises, the "Comments" column provides the user with a number of messages to describe the issue so that it can be quickly fixed. This web page was last updated at 04/30/2015 03:36 PM and is written in EXCEL!